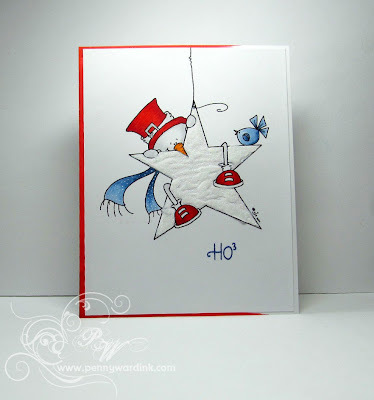 The Snowman on the Star card was selected as a Favorite of the Week at Split Coast Stampers. Click Banner to Join in the Fun! 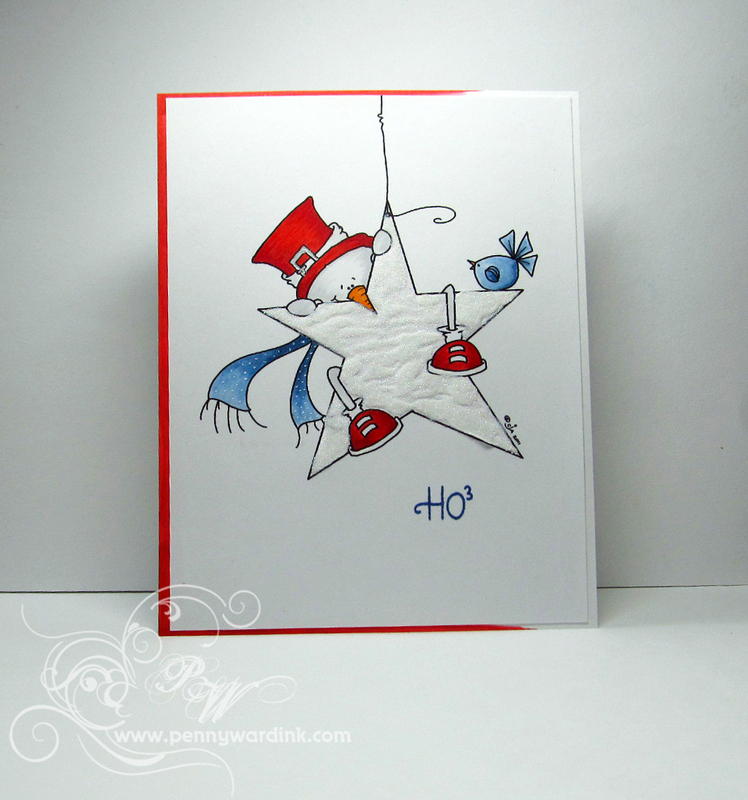 I used an Orange nose, a White Star and a sentiment that starts with H.
(Please note: because this card has glitter on it, it can not be shipped to OWH. I will save it for personal use). 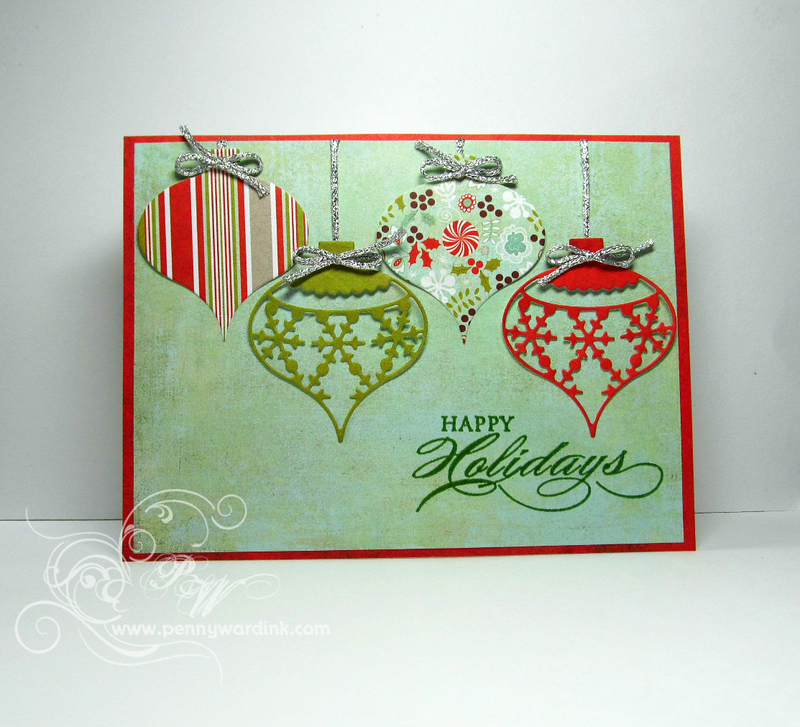 This was a really fun challenge as I don't remember ever making a card with this technique. The matting really makes the card look elegant. 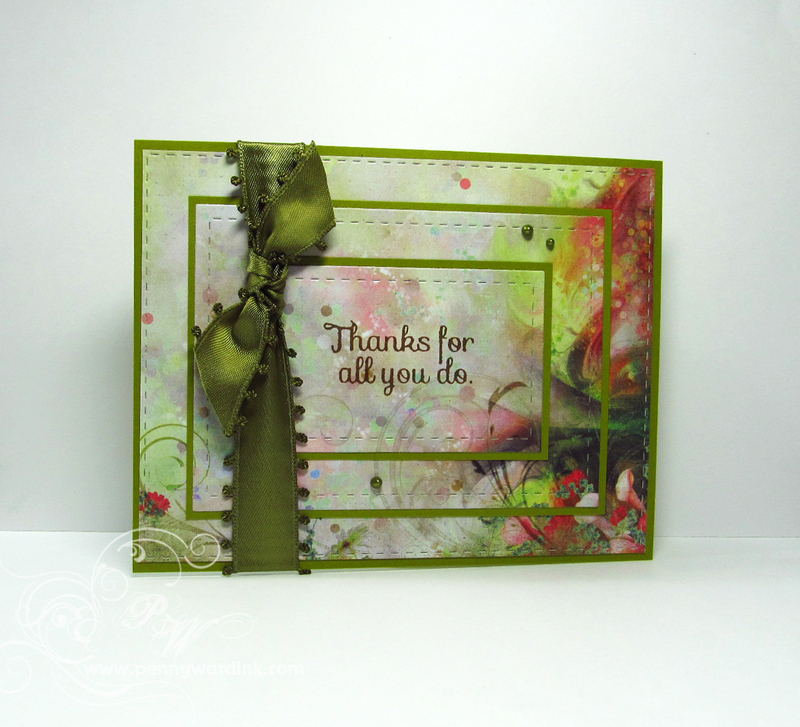 I have entered this card into the ANYTHING GOES challenge at Simon Says Stamp. Penny I love your colors! 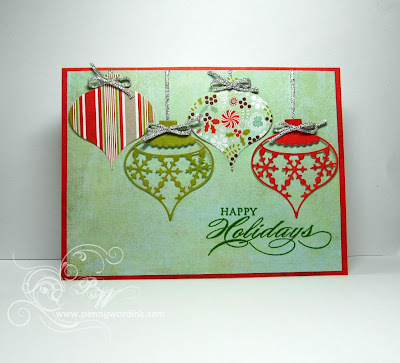 What a fun example of the zig-zaggy pattern and I like the horizontal approach too, cute ornaments! Thanks for playing along and I hope you have a great VCMP day! How clever was that to use ornaments? I was so focused on squares my mind didn't even go there! It's a really fun card! Nice take on the sketch, very well done! You're only two cards into this VCMP and already my list of 'must haves' is growing. That ornament die is gorgeous and the snowman... Well I'm currently hooked on Sassy Cheryl images and the last thing I need is prodding. :) love the way he is hanging on to the star. Too cute! Great cards for the first 2 challenges! I love the ornaments replacing the squares, but that star-holding snowman on the 2nd is just delightfully adorable! That snowman has my heart!! 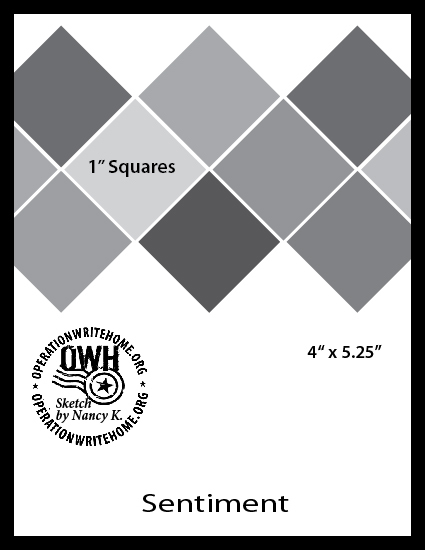 How clever to come up with OWH items. I'd still be scratching my head! As usual- i love all of your cards! Great job on all the challenges! And your snowman is so cute-- you have another H in there- he seems to be hanging on for dear life! LOL Thanks for taking part in my challenge and for your support of OWH and our troops! Penny, your cards are all very nice and beautiful. Thanks for taking the Triple Die Cutting Technique Challenge. I really love the paper that you used. I love how you used ornaments in place of the 1" squares! I wanted to do something different but was having trouble coming up with something. Great idea! Gorgeous selection of cards Penny. Beautiful! I just adore the snowman!